What’s the GitHub Extension for Visual Studio 2017? How to install the GitHub Extension for Visual Studio 2017? How to update the GitHub Extension for Visual Studio 2017? How to set the GitHub as the default Source Control plugin for the new solution in Visual Studio 2017? How to use the GitHub Extension for Visual Studio 2017? What’re the main GitHub Extension functionalities? How to add a new solution to GitHub? How to add an existing solution to GitHub? How to make a Private Repository? How to delete a GitHub Repository? Git is an open source program for tracking changes in text files. It is the core technology for the GitHub. GitHub is a web-based graphical interface Git or version control repository that mostly used for code. It provides for each project access control and several collaboration features like bug tracking, feature requests, task management, and wikis. A repository is the most basic element of GitHub. it’s easiest to imagine as a project’s folder. A repository contains all of the project files (including documentation), and stores each file’s revision history. Repositories can have multiple collaborators and can be either public or private. GitHub Extension for Visual Studio 2017 is a valuable Visual Studio Extension that brings the GitHub flow into Visual Studio. The only available default connection is Visual Studio Team Services. 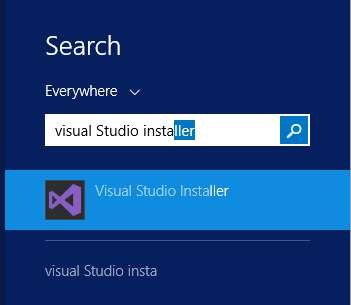 Open Visual Studio Installer 2017. From Team Menu > Click on Manage Connections. After Installing GitHub Extension, you should find GitHub section below Manage connections section as shown below. Tools > Options > Below Environment section > Click on Extensions and Updates. In case, you have opened the Visual Studio as Administrator, you will be able to enable auto check for updates for the current user and all users extensions. Check automatically check for update, and optionally enable auto update for extensions. Check Extension & Updates in Tools Menu. Go to Tools menu > Extensions & Update > at Updates section, check the Visual Studio Market place, you should find a new update for GitHub Extension. Click on the Update button to update the current GitHub version. How to set the GitHub as the default Source Control Plug-in? Open Tool Menu > Options. At Source Control > Plug-in Selection > Make sure that the Git is selected. From Team menu, Click on Manage Connections. Click on Connect to connect to your GitHub account. Or signup in case, you don’t have a GitHub account by clicking on SignUp. Provide your GitHub account credential > Sign In. Define the repository name, and optionally set its description. Select the repository path on your local computer. Specify the license as you prefer > then click Create. Click on the Create button, Define the repository name, and optionally set its description. A clone is a copy of a repository that lives on your computer and connected to the remote version in GitHub. So when you’re online you will be able to sync the changes between the two. Specify your local path as you prefer. Once the repository cloned, it will be listed in Local Git Repositories. To log off your GitHub account from Visual Studio. In this section, I will explain the main functionalities of the Github Extension. To track and publish the local repository changes. A branch is a parallel version of a repository. It is contained within the repository but does not affect the primary or master branch allowing you to work freely without disrupting the “live” version. When you’ve made the changes you want to make, you can merge your branch back into the master branch to publish your changes. Pull requests are proposed changes to a repository submitted by a user and accepted or rejected by a repository’s collaborators. Note: A collaborator is a person with reading and writes access to a repository who has been invited to contribute by the repository owner. Show Statistics of the merged and proposed Pull requests and the closed and new issue. Show Statistics of Contributors, Traffic, commits ….etc. Wikis provide a place in your repository to lay out the roadmap of your project, show the current status, and document software better, together. A commit, or “revision”, is an individual change to a file (or set of files). It’s like when you save a file, except with Git, every time you save it creates a unique ID that allows you to keep a record of what changes were made when and by who. Commits usually contain a commit message which is a brief description of what changes were made. To Share your changes with the Server. Pushing refers to sending your committed changes to a remote repository, such as a repository hosted on GitHub. For instance, if you change something locally, you’d want to then push those changes so that others may access them. Connect to the GitHub Extension. At the local Git Repositories section, Select your Repository > Righ Click > Open. At the Solutions Section, Click on New to add a new solution. Select your solution template > Provide the solution name and path > Create. Once the solution is created, it should be shown in the Solution section. Provide a new comment that describes the new changes. Click on Sync to share your changes to the server. In outgoing commit, Click on Push to push your new solution to the GitHub Online Repository. Open GitHub site > Sign in with your GitHub Account. Click on your Repositories > Select your Branch. You should now find the solution has been synced and pushed to your online repository successfully. Open your solution using Visual Studio. In Solution Explorer, Right clicks on the solution and select add to Source Control. The solution should be added to the default source control (Git). Go to your local Git Repository, Right click and select Open. You should find the solution is listed in the Solution section. Click on changes to commit, sync and push your solution to GitHub Online Repository. Error encountered while cloning the remote repository: Git failed with a fatal error. Git failed with a fatal error: unable to access ‘https://git.developernote.com/examples/’: SSL certificate problem: self signed certificate . Unable to clone Git repository due to self signed certificate . This feature is not available in GitHub extension, it’s available in the GitHub Web site, at the same time it is not available in the free plan it requires additional fees. Open GitHub site, Sign In. Open your repository, click on Settings. Scroll down to the Danger Zone, you should find Make this repository private. In case, you are using a free plan, you will be asked to upgrade your current free plan to developer plan to make this repository private by paying 7$ monthly or 84$ yearly. This feature is not available in GitHub extension, it’s available in the GitHub Web site. Note: Once you delete a repository, there is no going back. Please be certain. Scroll down to the Danger Zone, you should find Delete this repository. Provide the repository name as a type of confirmation, then click on I understand button. In this article, we have explored the GitHub Extension for Visual Studio 2017.